Learn more about what people are saying about SanCap Solar Connect. "This came along and it was exactly what we were looking for. We were very impressed with the amount of work this volunteer organization had done. They took a lot of the guesswork out of it because they knew what they were doing. They saved us time by interviewing, researching, and finding the best quality installers and materials. Plus there's the significant discount because of volume purchasing. The process couldn't have been easier for part-timers like us, who don't always have great luck finding contractors. It provided a lot of comfort." "'Ding' Darling did all the brainwork. That was the selling point. For a private person to go out and talk to 10 or 15 contractors, you're going to get 10 or 15 different answers. They told me seven to eight years for the payback on my investment, but it's not just about the money. 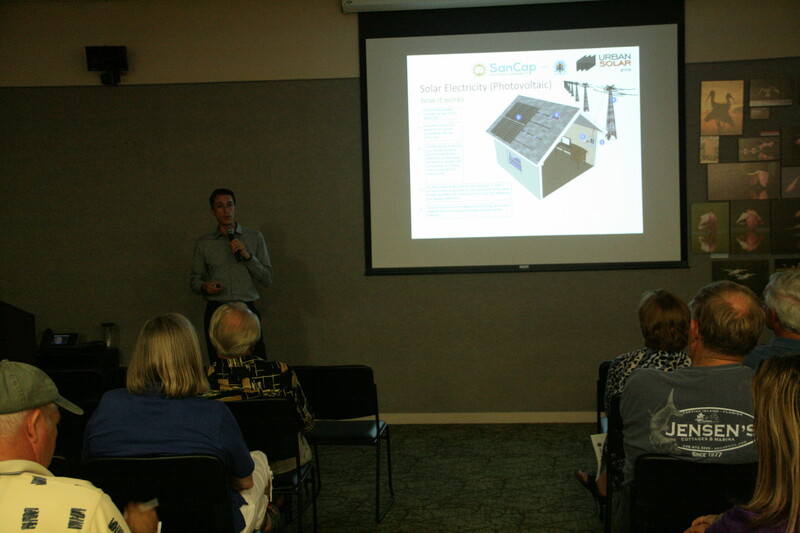 It's about saving energy and keeping Sanibel green." "We were very excited about installing a solar system for our home, especially under the attractive SanCap Solar Connect initiative terms. After a detailed evaluation, the Urban Solar team candidly explained they could not recommend proceeding since our roof configuration would not allow sufficient energy savings. Although disappointed, we greatly appreciated their customer-first ethic and professionalism."